Lavany Rechargeable Water Flosser Just $27.74! Down From $90! PLUS FREE Shipping! 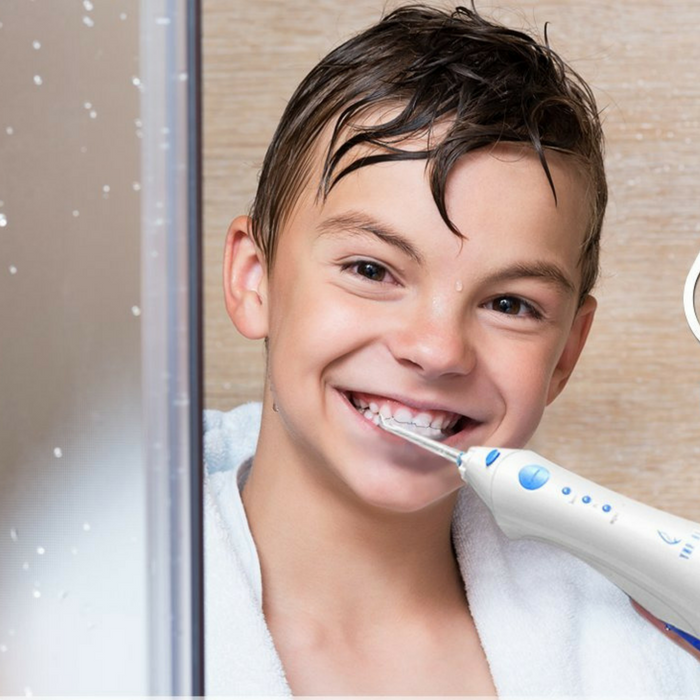 You are here: Home / Great Deals / Amazon Deals / Lavany Rechargeable Water Flosser Just $27.74! Down From $90! PLUS FREE Shipping! Head over to Amazon to score this Lavany Rechargeable Water Flosser for just $27.74 down from $89.99 PLUS FREE shipping when you enter promo code CK9GQGV8 at checkout! Does food keep getting stuck between your teeth? Do you feel frustrated that traditional brushing cannot meet the needs to clean those hard-to-reach areas of a child’s brace? The oral irrigator allows you to customize your flossing with three pulse modes of normal, soft, and massage. Soft mode is effective for those who have sensitive mouths. You can use your oral irrigator with confidence when in the shower thanks to its IPX6 waterproof design. Awesome!